This project is an interior renovation of a historical building on the University of Toronto campus. It is the new home of the Biomedical Communications and the Translational Research in Health Science studios. The base building for this project was constructed in 1915, designed by the architect C. H. Bishop. In this space, students create visuals and illustrations for biomedical processes and human anatomy. To reflect their representational techniques -- of peeling away layers of anatomy -- the renovation seeks to peel at the building’s history, revealing the architecture’s anatomy. The design strategy is to provide a distinction and clarity between what is old and new, without losing the integrity of the space. 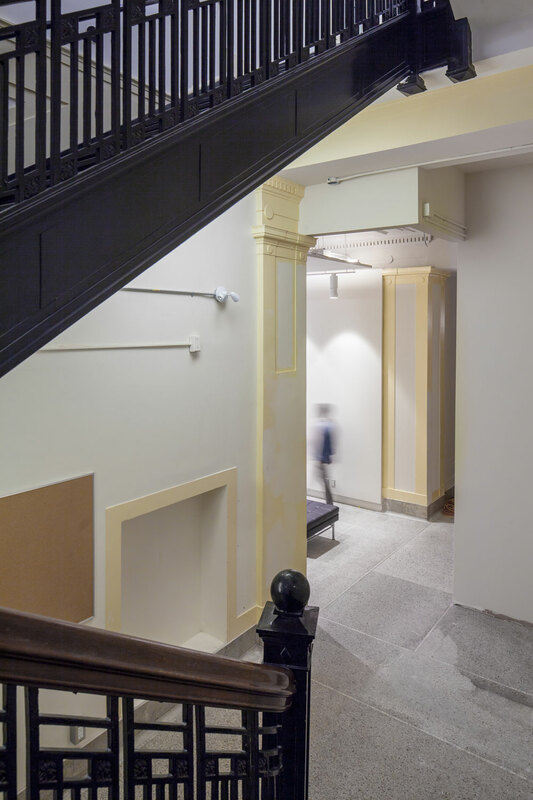 It incorporates new programmatic requirements while rediscovering moments of the building’s past; such as reclaiming the original lobby and highlighting the decorative molding.